Check out recent drone footage taken of our facilities. 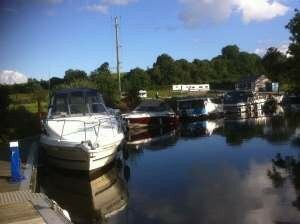 Riverside Farm is two miles from Enniskillen situated in the Lakelands of Fermanagh with Guest House Self Catering Bungalow River Moorings and Private Slipway. Caravan Park opened Easter 2014 with shower block and all amenties, Aires service. The Bed & Breakfast Guest House has just been upgraded with new En-Suites and Self Catering bungalow which overlooks the Sillees River. 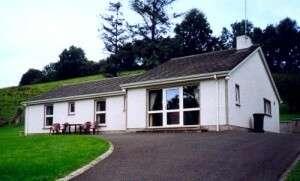 Both have off street parking and access to our garden and children’s play area. We can arrange the booking of a wide variety of events including Golf (18 hole), Game Shooting, Boating, Sailing, Water Skiing, Horse Riding and Fishing (we have bait storage facilities available). Riverside Farm is situated ideally in the country but yet close to town and all Guests can go fishing or have use of our private Jetty and slipway 30 feet Max Boat. TV/Video lounge, Telephone available on site, Fully centrally heated, Gas/Electricity charged by meter, Fully equipped kitchen, Fridge, Microwave Oven, Electric cooker & oil fired cooker, Ironing facilities, Washer/Dryer in utility room, Linen provided, Local food shop in walking distance. Rooms En-Suite TV lounge, TV in all bedrooms, Telephone available on site, Centrally heated bedrooms, Evening meals available, Vouchers accepted, Price reduction for children & OAP’s. We provide boat storage during winter and summer and you can avail of our Brokerage scheme and advertise your boat on our website. Riverside Moorings electrical, water and all amenities on site. Shower and toilet block with utility room with washing machine and tumble dryer. 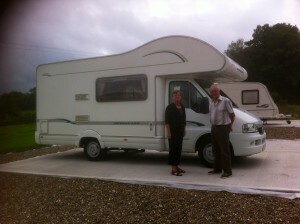 We have just completed facilities for motorhomes and caravans to include a new toilet and shower block. All water and power is now available – please contact us to book a space. 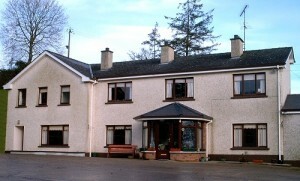 Please select the required accommodation, complete our online form then make a payment.